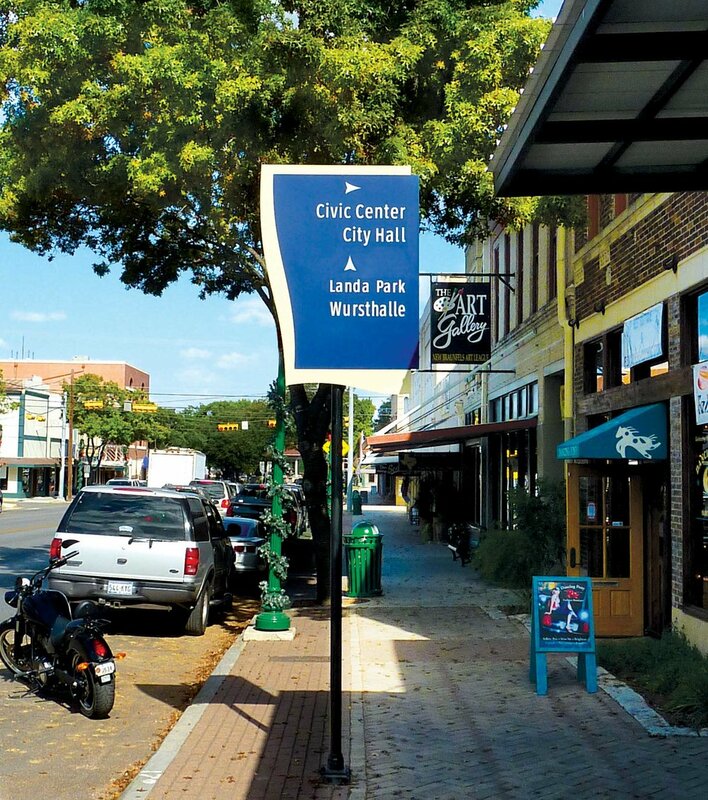 The City of New Braunfels offers a vibrant downtown, great neighborhoods and serves as a destination for a variety of water-themed attractions including the famous Schlitterbahn Water Park and the Comal and Guadalupe Rivers. 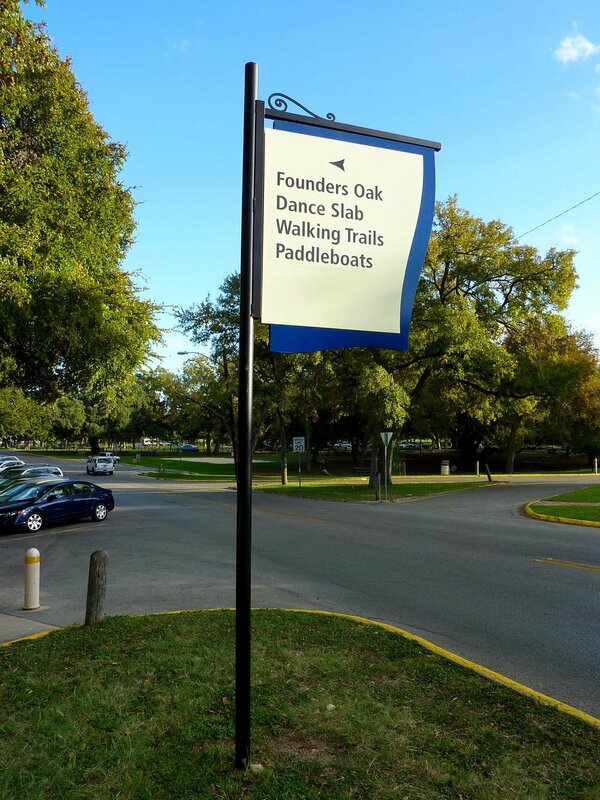 Wanting to better guide and direct its residents and visitors through their downtown and to area attractions, the City of New Braunfels required a new signage and wayfinding system. Working with Carter Burgess, our team members worked collaboratively with the city to develop a signage and wayfinding system that not only accommodated its unique street layouts and destinations but also celebrated its culture and community. 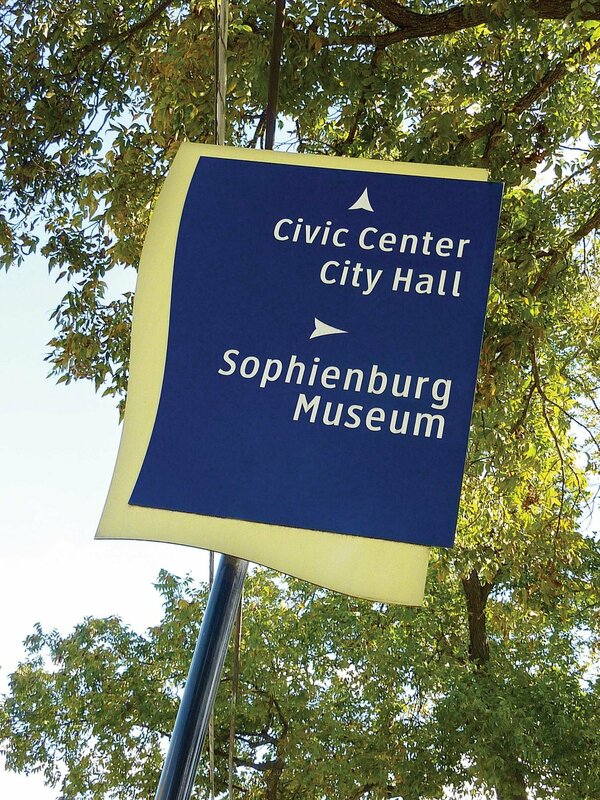 The sign system is designed as a unique fusion that pays homage to its well-known water-themed attractions as well as the community’s historical German inspired influences.